An Albanian was arrested by the Italian police in Galliate, after is cought with narcotics and money. The arrested is the 29-year-old Albanian with initials S.D. Police have noticed several strange moves of some youngsters towards the Albanian house and decided to carry out a control. 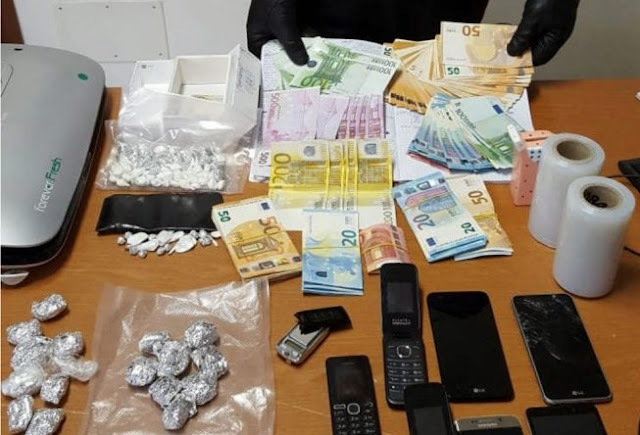 After checking the car and his home, police found 106 cocaine doses for a total of about 200 grams, as well as 15,880 euros in various banknotes. Police also found drug packaging materials. The 29-year-old did not resulted in previous criminal precedent.